This week I participated in a leadership workshop with the Massachusetts Reading Association. One of the speakers was Ralph Fletcher. He spoke about how he came to be a writer, giving us insight into the writing process, but also entertaining us with stories from his childhood. At the end of his presentation, he left us with these words, "A writer is someone who finds interesting stories in an ordinary life." When I teach writing, I encourage students to write about the small moments of their lives. These ordinary, everyday moments of my students' lives are the stories that show who they are and what matters to them. I know Ralph's words to be true. In spite of this, when writing myself, I find I sometimes long for a story to tell that's extraordinary. I've stared at a blank page wondering what story I could possibly tell about my ordinary life. 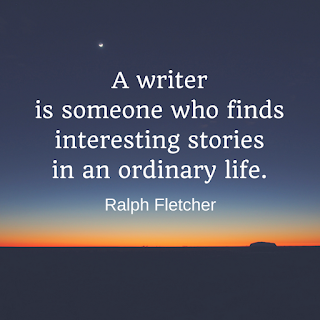 As I thought more about Ralph's words, I realized it's the ordinary stories that connect us and bond us to one another. We can see ourselves reflected in others' ordinary stories, while we also see something different we may not have seen before. This week has been filled with the ordinary. I read a picture book, poetic and moving, that made me cry, but also made me think about bravery. I played a tennis match against someone much better than me and smiled inside when someone off-court yelled, "Great shot, Lisa!" I ran into a friend, with a listening ear, at the coffee shop on a morning that nothing was going as planned. These are the ordinary moments of an ordinary week. 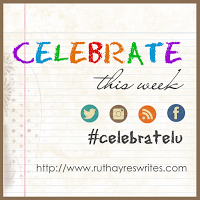 This week, I celebrate the stories of my ordinary life. Ralph Fletcher never fails to inspire. I love the quote, and love even more hearing about your "ordinary" stories, Lisa. Those are the ones that help each of us really know each other. Congrats on that great shot. I think comments made like that help keep us all going for the next step. Thanks for sharing about your experience at the conference. And have a great weekend! Ralph Fletcher's books are great, but hearing him speak and lead in a writing time is even better. I heard him in 2016 at AllWrite in Indiana, and I have not forgotten. Your "ordinary" moments are good celebrations. Oh, I so want to see Ralph Fletcher! I think I need to stalk his conference appearances so I can hear him speak. And the quote you shared? Going into my writer's notebook. Such a wonderful thing, to see Ralph Fletcher and hear his words of wisdom right before a new school year starts. Linda is right, Ralph never fails to inspire. 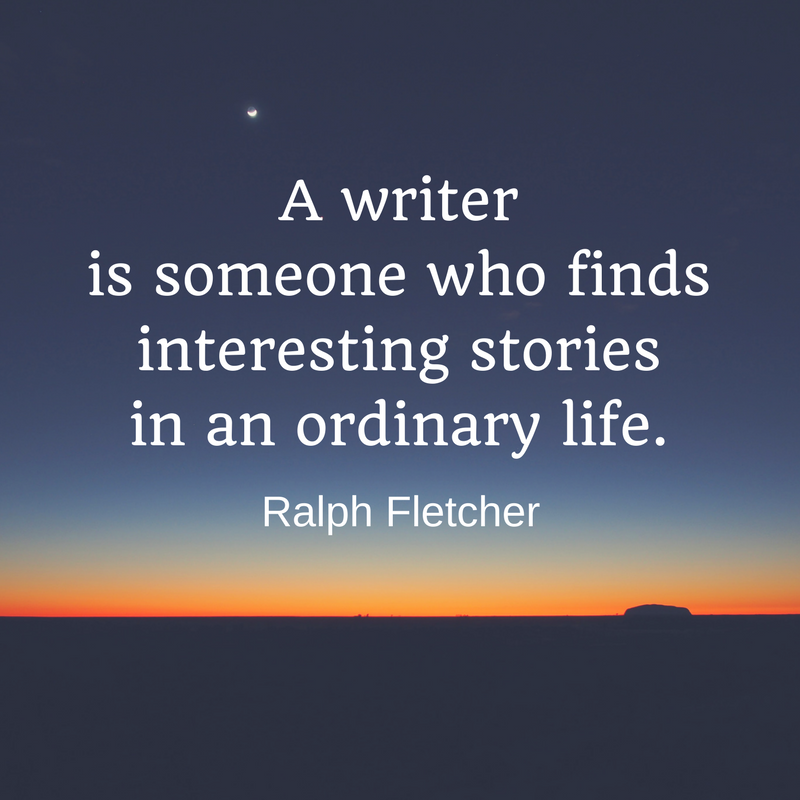 So great that you were inspired by Ralph Fletcher. He is certainly one of my heroes. I think it's the ordinariness of him that makes him so special, if that makes sense. He is always encouraging to teachers who write. Keep writing your story. I send you a big YES, for celebrating the ordinary moments of the week, Lisa. How wonderful to have Ralph Fletcher be one of your presenters. I always love being in his presence.